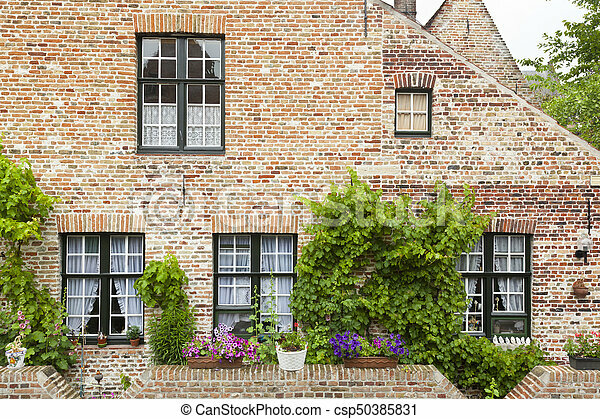 Bruges begijnhof houses. 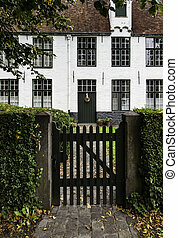 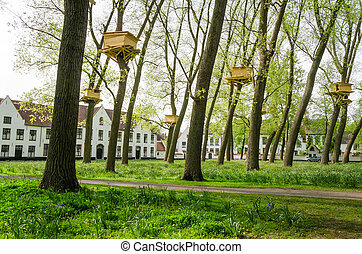 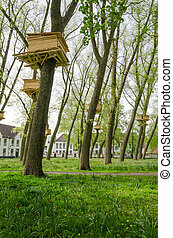 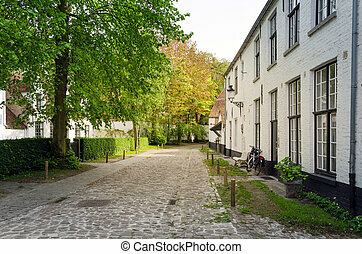 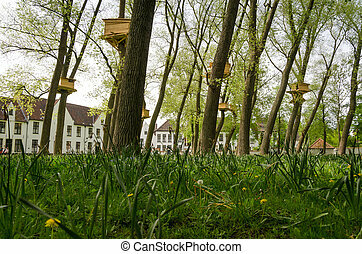 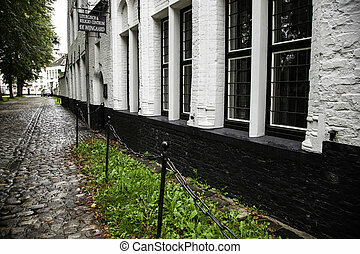 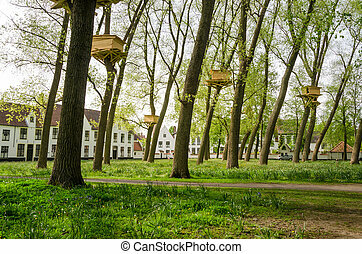 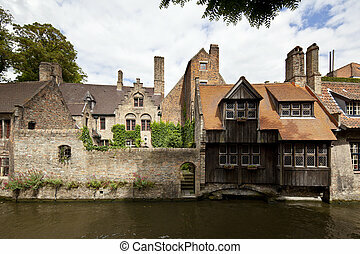 Old houses belonging to the begijnhof in bruges, belgium. 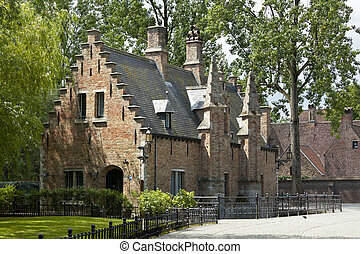 Old houses belonging to the Begijnhof in Bruges, Belgium. 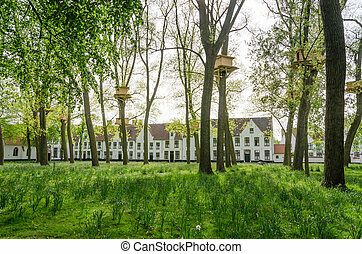 White houses in the Beguinage (Begijnhof) in Bruges, Belgium. 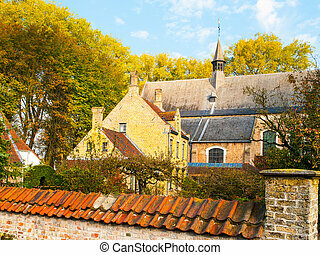 Old houses and chapel of Begijnhof, aka Beguinage, in Bruges, Belgium. 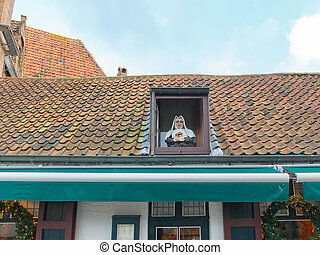 Sculpture nuns in the attic window of the old house near Begijnhof. 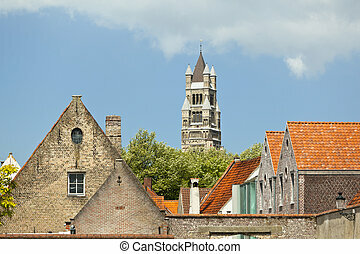 The Sint Salvator Cathedral (Saint Saviour's Cathedral) in Bruges seen behind some medieval houses. 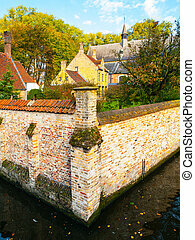 Behind the Church Of Our Lady in Bruges there is one of the most medieval views in the old town of Bruges. 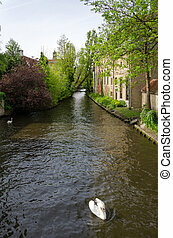 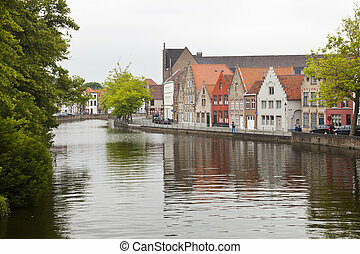 Daytime shot of a typical canal in Bruges. 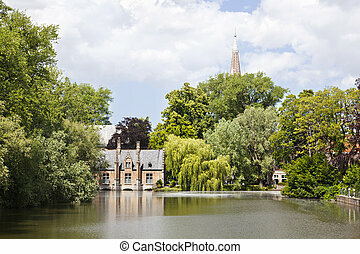 A medieval house at Lake Minnewater in Bruges, Belgium. 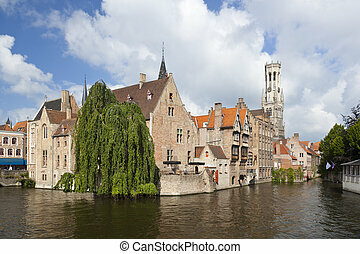 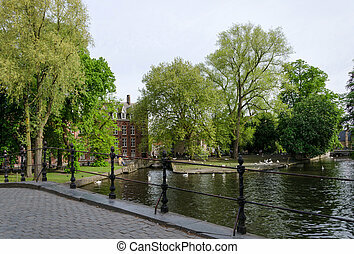 Daytime shot of the famous Rozenhoedkaai in Bruges with sunshine. 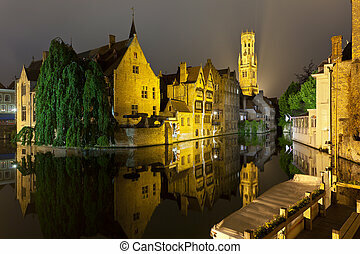 The famous Rozenhoedkaai in Bruges at night. 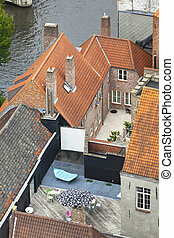 Typical old houses with inner yards and balconies in the center of Bruges, Belgium. 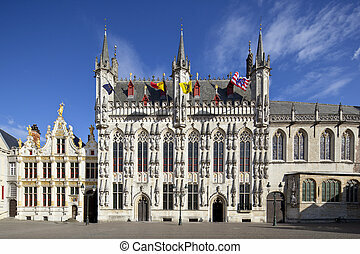 The old town hall of Bruges with blue sky. 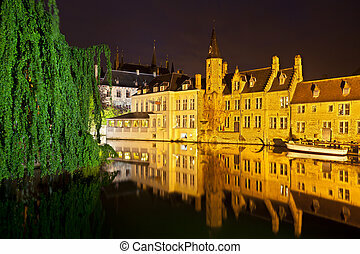 Jan van Eyckplein and Poortersloge in Bruges at night. 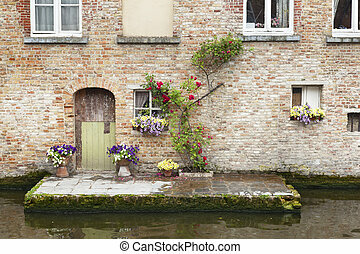 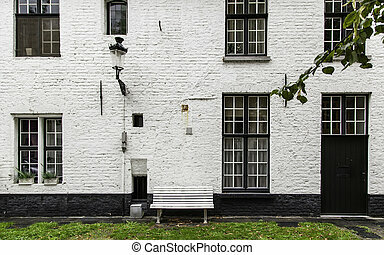 A typical old house in Bruges with a little canalside terrace, Belgium. 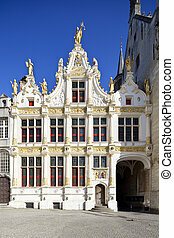 The beautiful Peace Court building on the burg square in Bruges with blue sky. 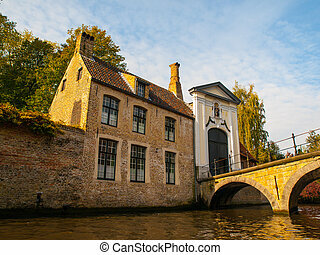 The romantic lake Minnewater with an old bridge house in the south of Bruges, Belgium. 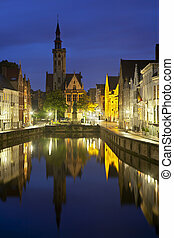 The famous Rozenhoedkaai in Bruges with misty night sky. 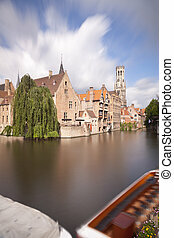 Daytime long exposure of the famous Rozenhoedkaai in Bruges. 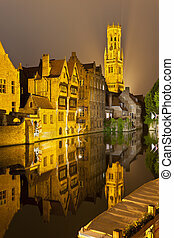 The famous Rozenhoedkaai in Bruges as vertical shot with misty night sky.